Is the Book Of Mormon’s last laugh on the Black communities? 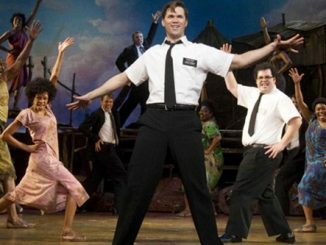 The Book of Mormon opened last month having come to London on the back of nine Tony awards and rapturous New York reviews. Created by the team behind the successful South Park TV series, it features songs written by the composer from the irreverent Muppet musical Avenue Q. It is marketed as a satire on the Mormon religion, which there is plenty of material about in the show. However, this is not the only target.